When it comes to kitting out your home with furniture don’t settle for less, choose the best thanks to the crafty and creative team at Snap Concrete. As a family-owned and operated team we know the importance of turning out an end-product that is of the highest standards of quality and durability. 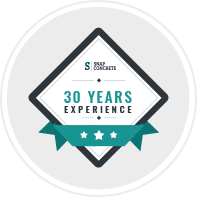 Drawing directly on over 30 years of varied and detailed experience our fully-qualified and highly-trained team can breathe new life into living environments across Melbourne thanks to our mastery over timber and concrete. Long prized due to its quality and textured appearance Blackwood timber is hardy, resilient, and holds its colour. Able to add prestige to your living space our Blackwood dining room tables give Melbourne homes a level of class and sophistication, coupled with design excellence. Make the right furniture choice for your home by speaking to the passionate and professional designers and fabricators at Snap Concrete. 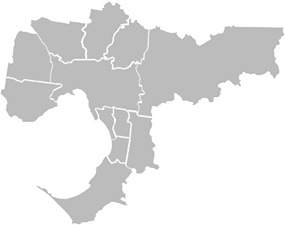 Thanks to our decades of superior and unmatched industry knowledge our team of experts have gained a reputation as the leading Blackwood furniture suppliers in Melbourne. 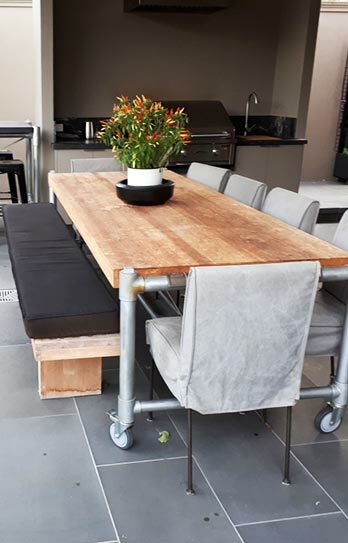 From standard tables and chairs through to opulent and expansive dining tables you can find the right furniture to suit your home thanks to the team at Snap Concrete. Able to design and build stunning and bespoke pieces of furniture no two chairs or tables made by our team are exactly the same, giving our customers truly unique furniture they can be proud of and fully enjoy. Upgrade your life and living environment thanks to the contemporary furniture solutions on offer from the team at Snap Concrete. Able to deliver your custom designed and built timber furniture right to your door in a snap our team strive to provide a service that ticks all the right boxes. With our unmatched and unique Blackwood dining tables Melbourne homeowners will finally have a piece of furniture that meets their vision and style. 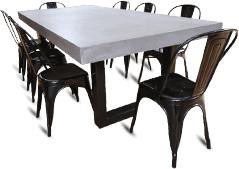 Treat your home to one of the solid Blackwood dining tables made by Melbourne’s furniture fabricators at Snap Concrete. Continually integrating the latest design trends into our works you can trust our team to craft a modern masterpiece without breaking your budget. To find out more about our expressive solid Blackwood dining tables speak to our helpful team on 0450 535 075. To fit out your home with our personalised and premium-quality Blackwood furniture Melbourne residents can look no further than Snap Concrete.